Welcome back to your regularly scheduled Houston Rockets. With Chris Paul and Gerald Green back in the lineup, relegating Michael Carter-Williams and Marquese Chriss to garbage time players, The Rockets trampled the San Antonio Spurs from jump. This game was like returning from an extended, miserable commercial break to watch the show you've been waiting for. With Nene reportedly waiting in the wings and Brandon Knight rehabbing in the G-League, the Rockets have found reason for optimism once again. Now they have to figure out how to stay on the right station. The Rockets won by 31. That's a lot of points. Everyone played fantastic ball, perhaps barring Gerald Green and Gary Clarks somewhat cool shooting percentages. Chris Paul wasn't the best player on the floor, but his return was obviously needed for a team that was struggling to look like an NBA team. He scored 14 points on 13 shots to go with 10 assists in an extremely sustainable 23 minutes. James Harden, who was the best player on the floor, contributed 23 points on 20 shots as well as 7 rebounds and 10 assists of his own. He had 2 turnovers, which was 2 more than Chris Paul and 40% of the team's total of 5. That's an amazing stat line and shows how much calmer and more coordinated the team looked with Paul and Green able to solidify the lineup, and with Paul around to run bench units and steady the offense against starting lineups. It was excellent TV for Rockets fans. For Spurs fans, however, it was a rerun of the previous game, marking the first time in decades that the team has lost by 30+ points two games in a row. Harden, fairly questioned for his decline in defense this season, was effective on DeMar DeRozan and remained a poor option to post up on a switch. 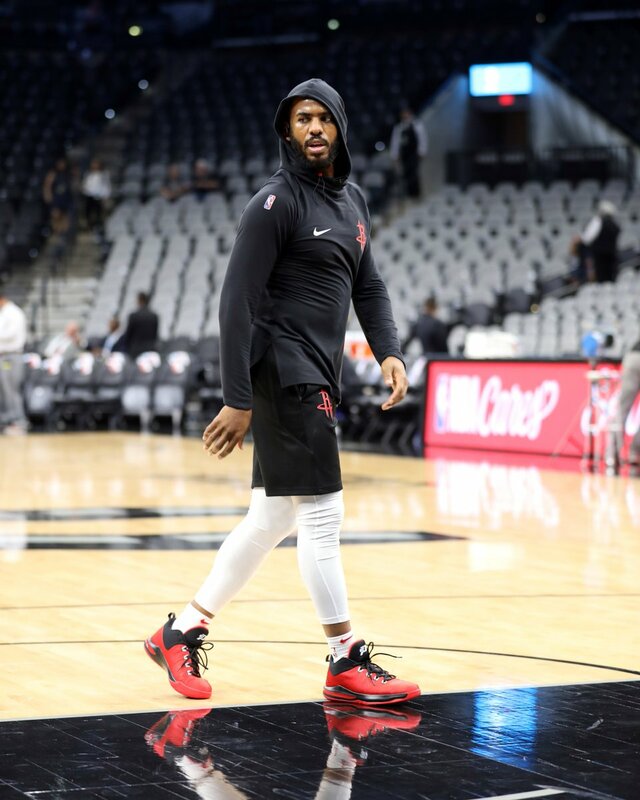 Any time Harden, PJ Tucker and Clint Capela were all on the floor together was a nightmare for LaMarcus Aldridge, who failed to execute his annual tradition of torching the Rockets. He scored a team-high of 20, but it took him 18 shots to do it and the vast majority of it came well after the game was over. Now, the Rockets have to work Nene back into the system as well as try to find more viable players. While they have performed quite well with both Harden and Paul on the court, Paul's propensity for injury and advanced age combined with their thin bench means that they need to find insurance policies for him and the other aging veterans on the team. The Rockets still need another good defensive option, another stalwart big man and a lead guard who can run an offense when Paul isn't available. Nene and Knight may resolve some of this, but there are simply too many dead roster spots to stop there. They may want to try to make it to December 15 to better explore trade options and hope it goes well in between. If every episode looks like tonight, they might just make it.